handily fitted under this bed. Play around with where you want the doors positioned. infusing a splash of excitement and happiness into the ambience of the room. 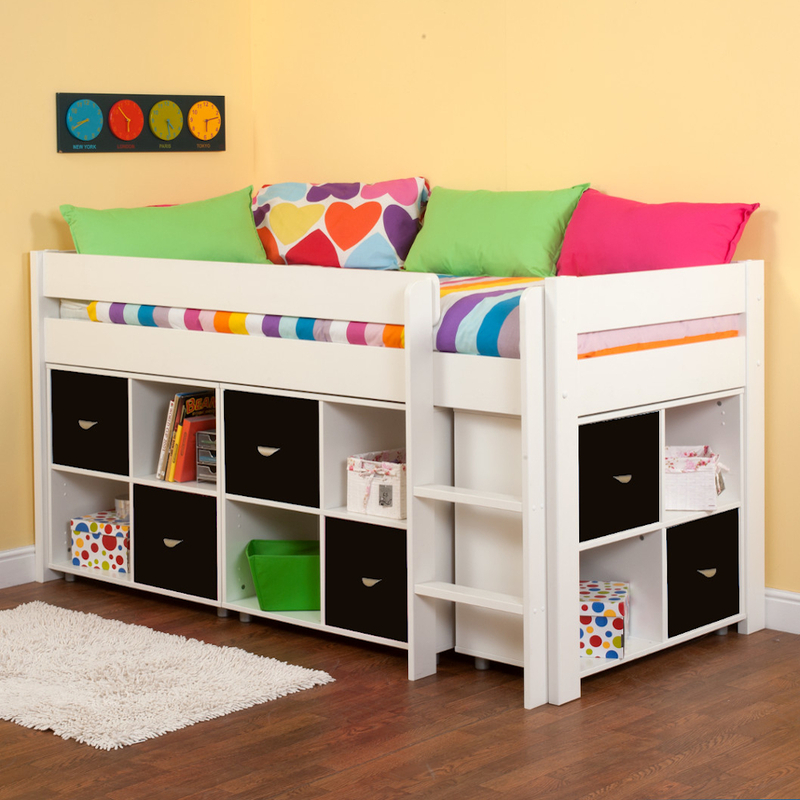 The main construction of the bedframe is produced in solid pine providing durable, long lasting quality. Trendy design with full panelled headboards..
Cube Units produced in hardwearing MDF.